The Permian continues to lead the US onshore recovery. Half of rigs that have gone back to work since May 2016 have gone to this play. High-spec AC rigs with 7,500-psi mud pumps and walking or skidding systems are still the most in demand. Opportunities for building new rigs again are back in discussion. Economics of bringing rigs out of stack require at least a six-month contract. However, some contractors are reluctant to sign one-year contracts at near-bottom dayrates in an improving market. After more than a year in free fall, the US land rig count hit bottom with a monthly average of 379 in May 2016. Since then, however, the trend has been reversing. In the following month, the US land rig count rose slightly to an average of 392. By late March 2017, it had reached 747. Independence Contract Drilling’s ShaleDriller 210 rig drills for Pioneer Natural Resources. This rig series features 7,500-psi mud pumps, bi-fuel capabilities and walking systems. 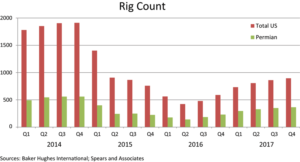 When the rig market bottomed out in May 2016, the contractor had only four out of 14 rigs working. Now, it has all 14 of its rigs working, with several each in the Permian and Haynesville plays. With a fleet utilization of 100% and an increasing demand for rigs, the contractor said it could potentially consider ordering newbuilds later this year. 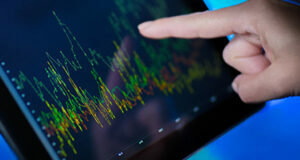 This steady climb has continued to fuel optimism about a recovery in the US onshore market. “This year is fairly positive, and I think we’re in a good period for US onshore where the prices have come up enough to start bringing more acreage back into the economic window,” Matt Cook, Analyst at Douglas-Westwood, said. According to Douglas-Westwood data, 21,000 onshore wells were drilled in the US in 2015. That number fell to 11,000 in 2016. However, 20,000 wells are expected to be drilled this year. Further, the number of wells drilled is expected to increase by 143% overall between 2016 and 2020. So far, the Permian Basin has led the recovery. “I really see the Permian as being the main driver of growth, as the cost is so low compared to other tight oil plays,” Mr Cook said. Some of the best acreage in the Permian had actually already reached breakeven levels at $25-$30/bbl even before the downturn. “With costs coming down more in the interim, that tells you what you need to know about why activity has been quite strong compared to other players.” Depending on the quality of the acreage, he added, prices in the Bakken can be two or three times as high as those in the Permian. Operators, including Anadarko Petroleum, have made clear their preference for the US onshore market. “We have redirected ourselves into a US-centric story,” President and CEO Al Walker said at CERAWeek in Houston on 8 March. Anadarko is currently focusing on the Permian’s Delaware Basin and the Denver-Julesburg (DJ) Basin in the Rockies. Specifically, Mr Walker noted that the company has allotted $1.3 billion for infrastructure build-out in the Delaware Basin. Operators are also learning to focus their investments on only the best acreage. Jeff Ventura, Chairman and CEO of Range Resources, pointed out at CERAWeek that core areas typically represent only 5% to 20% of a play’s acreage. “This is a very important concept in that the economics for core versus non-core acreage is very different,” he said. For instance, the breakeven cost in the Marcellus can change by a factor of two between core and non-core acreage. Since reaching a low point in Q2 2016, the US onshore rig count has risen every quarter since then. 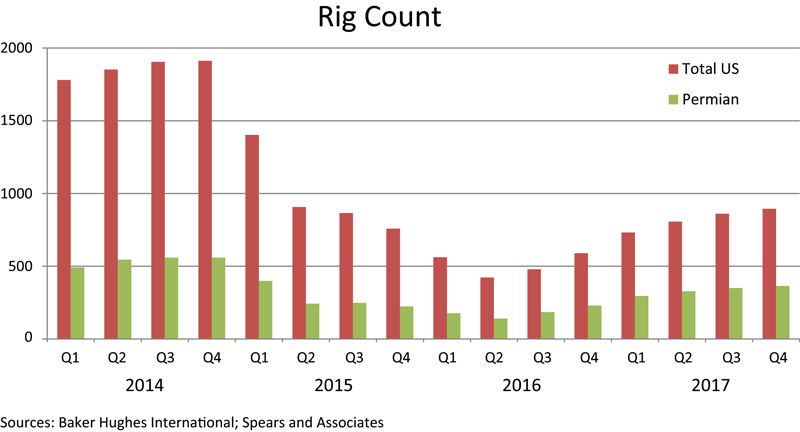 Spears and Associates expects the rig count to average 800 for 2017, representing a 60% increase from an average of 500 in 2016. A significant portion of the rigs that have come out of stack in the past year have gone to work in the Permian Basin. Further signaling strong interest in the Permian is the fact that more than $20 billion in property in this play has changed hands over the last year. In other plays like the Eagle Ford and Bakken, it will still take oil prices of at least $60 to stimulate activity in a significant way. Mr Ventura cited an IHS study that concluded most US plays could face sweet spot exhaustion within the next decade. “This is a really important point when trying to figure out how the markets will ultimately balance between supply and demand,” he added. However, he emphasized that rig count may no longer be a reliable barometer of drilling activity in the US onshore market. “I don’t think measuring activity in terms of rig count will be as meaningful as it was in the past,” Mr Spears said. In part, this is because the number of days required to drill wells has fallen, so operators are using fewer rigs to drill more wells. “But the other thing that’s going on is the wells themselves are becoming much more productive, so we can generate a lot more oil per well in terms of daily production than we used to.” Data suggests wells today are 20% to 30% more productive than they were in 2014, Mr Spears added. Both this year and next year, well productivity is projected to increase by an additional 10% to 15%. As a result, he said, the US rig count is unlikely to return to pre-downturn levels. Improved well productivity is being driven in part by operators picking the best wells in their best acreage but also by increasing lateral lengths. “There’s more wellbore exposed to the formation, which always helps production,” Mr Spears said. Larger frac jobs are also allowing operators to access more of the formation, contributing to higher well productivity. The ShaleDriller 203 is drilling for Laredo Petroleum in the Permian Basin. Seven of Independence Contract Drilling’s 14 rigs are working in the Permian, which was among the most steady for the contractor during the downturn. The short time needed to drill wells and to bring production online in the Permian is a major draw for operators. 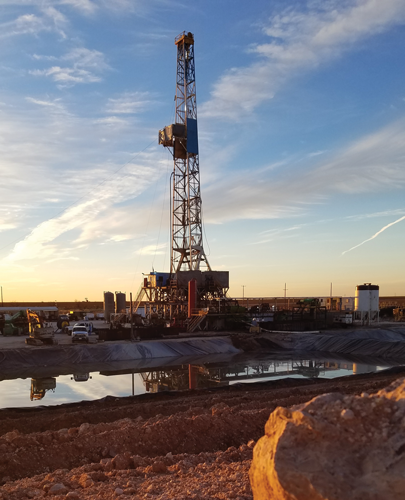 On average, a well in the Permian can be drilled in 30 days – ranging from 20 days in the Midland Basin up to around 45 days in the Delaware Basin. Just five years ago, drilling time in the Permian averaged between 60 and 90 days. With little demand for older, mechanical rigs that cannot drill horizontal wells and don’t have walking systems, contractors have retired these rigs in large numbers over the past two years, Mr Spears said. He pointed to the 2014 National Oilwell Varco (NOV) rig census, which showed that there were 3,250 total available rigs in the US. The same census two years later counted only 2,100 available rigs, a drop of more than one-third. “From this point forward, we’ll probably see the number of available rigs continue to decline, but I’d guess it would only fall about 5% a year going forward,” he said. Of the rigs that have been retired, 70% to 80% of them are mechanical rigs that were built for drilling vertical wells. “I think most of the retirements that we’ll see in the next few years will also be these older rigs that just don’t have much demand in the marketplace,” Mr Spears added. Of the rigs that have gone back to work since May 2016, half of them have gone to the Permian, he said. Further signaling strong interest in the Permian is the fact that more than $20 billion in property in this play has changed hands over the last year. In January, ExxonMobil doubled its Permian resource to 6 billion BOE through a series of acquisitions in the Delaware Basin. 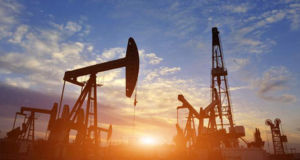 In March, Marathon Oil announced it had reached an agreement with Black Mountain Oil and Gas, as well as private sellers, to acquire 21,000 acres in the Northern Delaware Basin. While these are encouraging indicators for the Permian, in other plays like the Eagle Ford and Bakken, it will still take oil prices of at least $60 to stimulate activity in a significant way. As of March, Spears and Associates was projecting an average oil price in the mid $50s for 2017 and low $60s for 2018. Latshaw Drilling’s Rig 29 is working in the STACK play in Oklahoma. The majority of the rigs that have gone back to work in the industry have been 1,500-hp AC rigs designed for pad drilling, with 7,500-psi mud pumps and walking systems, according to Chris Menefee, Vice President of Business Development at Independence Contract Drilling. He’s also seeing an increasing willingness from operators to contract these rigs for longer periods. “If they can find a rig that meets the specification with a good crew, they’re willing to lock it in for a longer period of time,” he said. Still, drilling contractors must be selective about their upgrades. “There are a lot of rigs that were running back in 2014 that probably needed to be retired or scrapped. Probably the only reason they were working is because oil was $100,” Mr Menefee said. At some point, the costs it will take to upgrade these rigs will become so high that it’s easier for a contractor to build a brand-new rig. 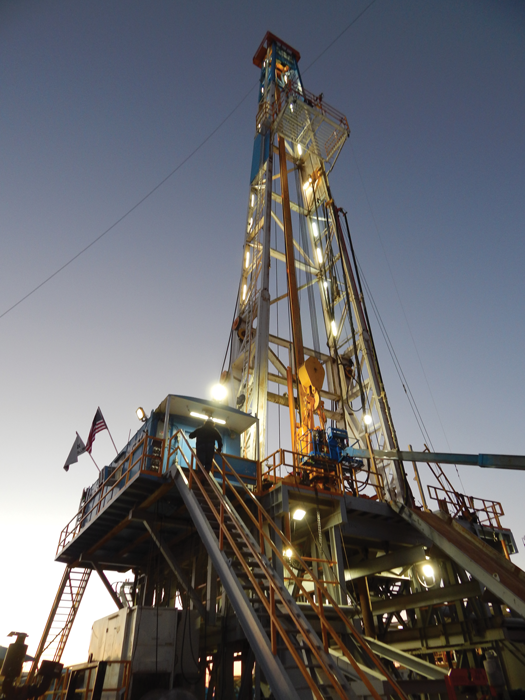 Latshaw Drilling’s Rig 14 is also drilling in Oklahoma’s STACK play. All of the nine rigs the contractor has put back to work since May 2016 are under six-month contracts or multi-well contracts that are equivalent to six months. Operators have shown a willingness to sign year-long contracts in order to lock in low dayrates. However, with the market improving, Latshaw Drilling has so far opted to sign only six-month contracts for its rigs. Upgrades have not been a concern for Independence Contract Drilling due to its young fleet, however. Its ShaleDriller series rigs already feature 7,500-psi mud pumps, bi-fuel systems and walking capabilities. This helped the company keep its utilization rate up until the rig market bottomed out in May 2016, at which point only four of the company’s 14 rigs were working. Since that point, the contractor has put 10 rigs back to work. This means the contractor is now enjoying 100% utilization, and with the rig count still climbing, Mr Menefee signaled that newbuilds are possible. “If the market continues to be where it is now, I can see that we might start building again sometime this year,” Mr Menefee said. Of course, the Permian remains the onshore hot spot. 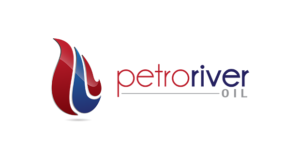 Independence currently has seven rigs working in the Permian and an additional rig set to begin a contract there in Q2. 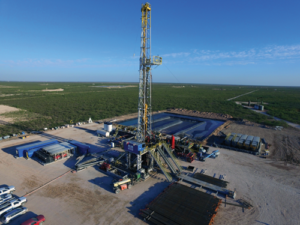 “It was steady for us during the downturn, and the Permian will continue to be the bright spot for US onshore activity going forward.” One of the appeals of the play is how quickly wells can be drilled and production can be brought online, he said. On average, a well in the Permian can be drilled in 30 days – ranging from 20 days in the Midland Basin up to around 45 days in the Delaware Basin. Just five years ago, drilling time in the Permian averaged between 60 and 90 days. One challenge facing all contractors, whether they have an older or younger fleet, is people, Mr Menefee said. “Through this downturn, we’ve had to cut to the bone. We had to cut career folks that you want in your organization forever.” The challenge will be trying to re-hire the employees who had been let go, as well as hiring new-to-industry employees and providing them with the proper training. Moreover, a lot of re-training will be required for employees who have stayed through the downturn. This is because, over the past couple of years, contractors had moved many veteran crew members into lower positions in order to hold onto them. For example, rig managers may have been working as drillers during this downturn. To move them back into their old positions, re-training will be needed. As the market turns around and onshore drillers put rigs back to work, many recognize that maintaining HSE performance will be a critical challenge. And while some may assume that hiring workers with previous industry experience will automatically lead to fewer safety incidents than hiring new-to-industry employees, that may not be the case. Analyses done at Latshaw Drilling, for example, show that 85% of its recordable incidents happen to employees with prior industry experience but who have been with the company for less than six months. 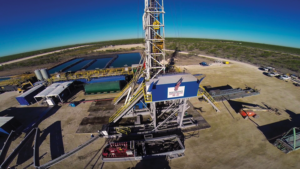 Since Latshaw Drilling started putting rigs back to work last year, the company has hired approximately 250 new employees, a mix of new-to-industry and experienced workers. Each new-to-Latshaw employee is paired with a veteran employee, who acts as a mentor, and they work closely together for the first 14-day hitch. This mentorship period can be extended for two additional hitches, if needed. New-to-industry employees are put through a three-month training program before they become a floorhand. Mr Latshaw said this arrangement is reducing the number of incidents associated with new-hires. In addition to hiring and training crews to work on rigs that are brought out of stack, the cost of getting the rigs ready to drill can be a challenge, Mr Latshaw said. “You would think that a rig that was operating well when it was stacked could be brought out, dusted off and put together and it’s ready to go,” he said. “Unfortunately, it just doesn’t work that way.” Depending on the extent of the repairs or upgrades required to get the rig in working condition, it can cost anywhere from a quarter of a million to a million dollars, he added. Like many contractors, Latshaw Drilling has been upgrading its fleet with walking systems and 7,500-psi mud pumps to align with operators’ demands. The contractor has been installing walking systems on the handful of its rigs that didn’t already have them and has installed 7,500-psi pumps on a third of its 41-rig fleet. Now, all but eight Latshaw rigs have walking or skidding systems, and the rest will be converted as needed, Mr Latshaw said. Latshaw Drilling, which has rigs in Texas and Oklahoma, saw its utilization bottom out at 25% in May 2016, when only 11 of its 41 rigs were working. Since that time, the company has put nine rigs back to work, bringing its utilization rate up to 50%. As of early April, four additional rigs were scheduled to start new contracts. All rigs must have at least a six-month contract, or a multi-well contract that equals six months or more, in order for the company to bring it out of stack, Mr Latshaw said. Otherwise, the economics won’t stack up against the costs to bring the rig back to working condition and to staff it. Operators are, in fact, starting to offer longer-term contracts rather than just well-to-well deals, he added. “We’ve actually had several operators that have proposed one-year contracts. Of course, they’re looking to lock in the current rates that are close to bottom.” Mr Latshaw said he has opted to stick with six-month contracts instead so that the rigs won’t be locked in at such low rates for a full year. Such decisions belie a confidence in the market. Mr Latshaw said he believes that most rigs under contract now will likely continue to find new work once they roll off their current contract. The rigs that have been working throughout the downturn are the high-spec, pad-optimal rigs that operators prefer. They also like to hire hot rigs, rather than one that’s just been brought out of stack, but those options are fast disappearing.